Submitted by Jason Horton on Jan. 22, 2018.. The Masterbilt DR-500MCE comes with an all solid wood construction and a look which harks back to their early Masterbilt guitars which they first released in the early 1930s. 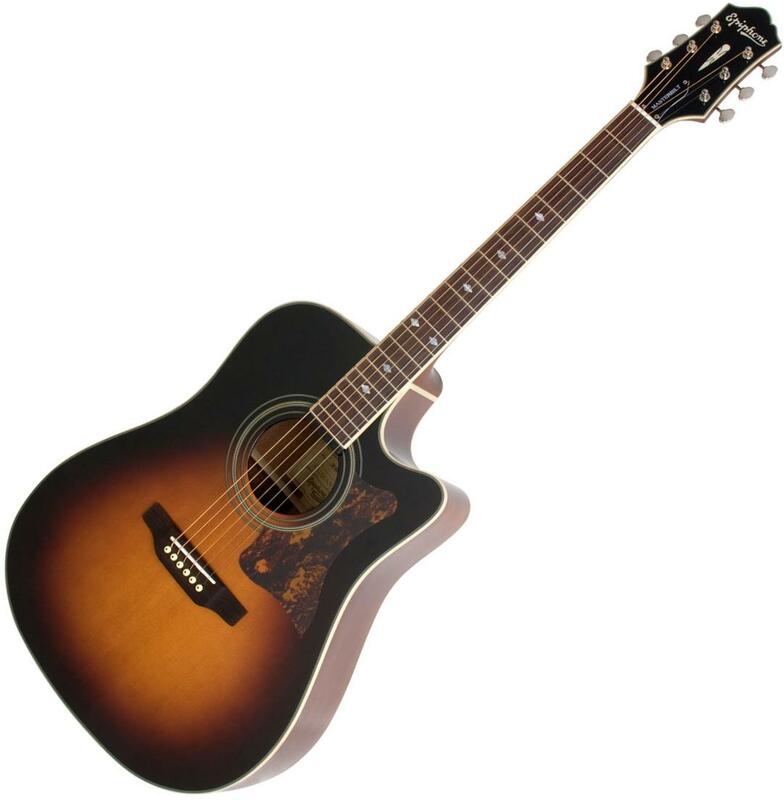 Epiphone provides a Limited Lifetime Warranty on the guitar and Shadow provides a 5 year warranty on the electronics. St. Vincent is known to play a Masterbilt DR-500MCE. This was placed on our recommended list as one of the best Acoustic-Electric Guitars Under $1,000 on November 16th 2016 and the only reason it isn't there now is because in January 2018 we restructured our guide to The Best Acoustic Guitars leaving out acoustic-electric guitars. Martin, Taylor and Guild are all brands that multiple customer reviews say that this guitar is either on par with in terms of quality and sound, or that it surpasses them in terms of value. Many customers, including those who had owned this guitar for many years, said that this ended up exceeding their expectations - some for this price range, but many said so in general. There were a small number of people who weren't satisfied with the electronics - some complained they didn't like the plugged-in tone while others said that the preamp was a bit noisy - one person even said that the volume pots generated noise when adjusting them. The vast majority of people who have bought the Epiphone Masterbilt DR-500MCE are more than satisfied with their purchase.